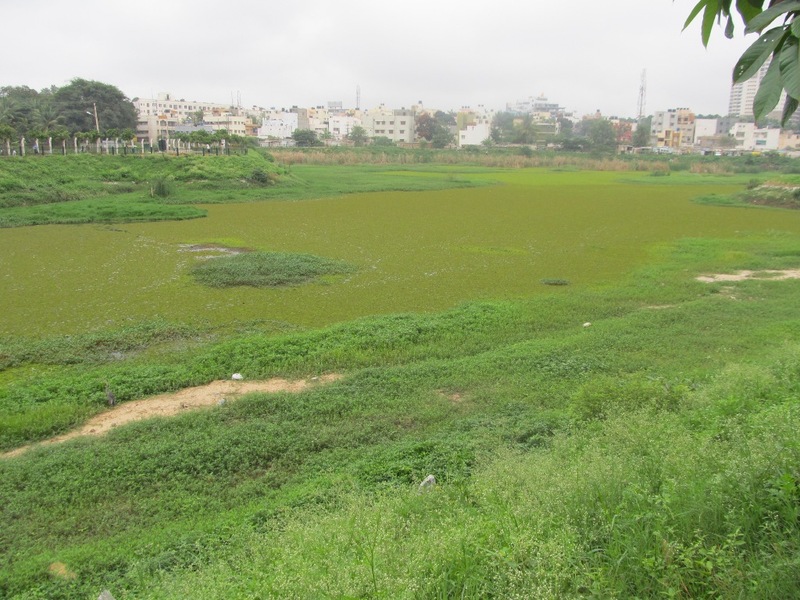 Those who visit Puttenahalli Lake these days would see almost the entire surface green with algae. On researching about algae, we found this information on an algae control program webpage. Algae grow when they have the right conditions such as adequate nutrients (mostly phosphorus but nitrogen is important too), light levels, pH, temperature, etc. Generally the amount of phosphorus controls the amount of algae found in a freshwater lake or water body. The more nutrient-enriched a lake, typically the more algae in the lake. Healthy lakes need algae. Algae are important to the productivity of a lake or water body. Algae are primary producers. They use sunlight (through photosynthesis) to produce carbohydrates and are eaten by grazers such as protozoa and zooplankton (little animals like water fleas and rotifers). The zooplankton are, in turn, grazed upon by fish, which are eaten by bigger fish, and on up the food chain. A productive lake produces large fish and good fishing for humans as well as supporting food and habitat for wildlife and waterfowl. In this context most algae are desirable for lakes. While algae are beneficial, there are some algae that are less desirous than others, and we've been worried about the green on the lake's surface. We will need to take out samples of the algae to check the type. Experts in the field whom we got in touch with tell us that "it is some kind of seasonal algae that is blooming now. Even though there is no sewage entering the lake, there are lots of previously collected nutrients within the lake that can equally well support such seasonal blooms." They also say that using algaecide to control the growth will have short term effect while adversely affecting the natural flora and fauna of the lake ecosystem. The only real solution seems to be to have more clean rain water entering the lake and diluting the nutrient residue. Unfortunately, the monsoon has been very bad this year and in the few showers that we did have, only the inlet near the coconut grove let in water. Unlike last year, only excess surface water from South City reached the lake. We need to find out if L & T has blocked the storm water drainage in some way and are diverting the rain water into the underground sewage line. If this is corrected and rain water from South City let into the lake, the level will increase considerably whenever it rains. 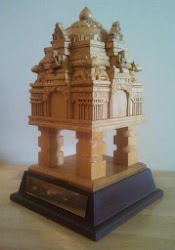 Another hope is that the BBMP is expected to begin work on the diversion channel from Brigade Millennium arch shortly. Of course, if the rain gods continue to overwhelm other parts of the country and not Bangalore, we can do nothing but watch the algae take over the lake completely. While it is no consolation, another expert told us, "Why only your lake? 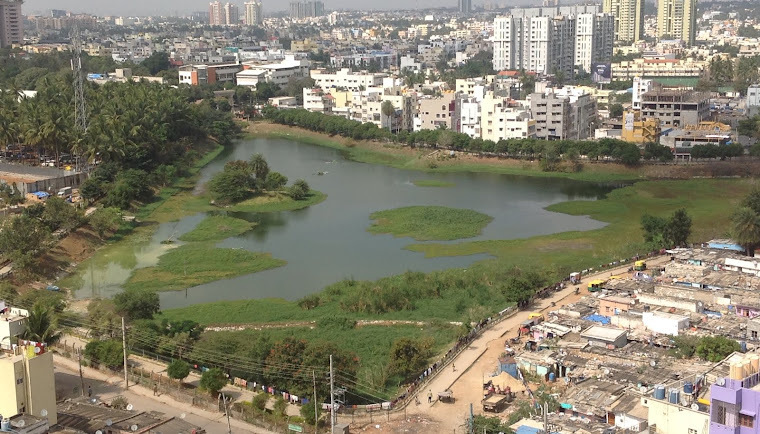 All the lakes in Bangalore are green now because of less than normal monsoon!" We've identified the "green" to be a water fern called Salvinia and not algae. We are looking for contractors/ fishermen/ any others to help in deweeding. Please contact 7259722996 if you know anyone who will undertake this job. Having a boat/ coracle should not be a constraint as it can be made available on site. Get ready for Season Two of "Spark The Rise"